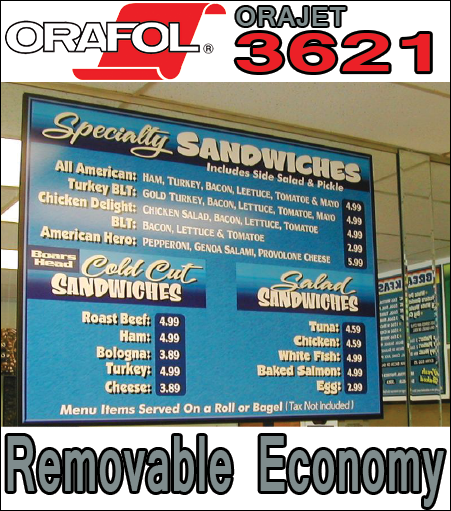 This economical 3 mil, 4-year calendered inkjet media is the right choice for short-term interior and exterior graphics that require easy removal. ORAJET 3621 has a water-based, removable, grey-pigmented adhesive that delivers great covering power. Designed for flat-surface applications.